SaltConf15 will deliver more than 60 breakout sessions, keynotes and training courses. SaltStack customers and experts will share how to automate CloudOps, ITOps and DevOps at speed and scale. Overstock.com has more than 300 developers across 40 teams with diverse workstation setup requirements. For example, the developer tools required by the mobile team are different than the tools required for a tester on the finance team. Overstock.com has developed its own bootstrap script along with a Python ncurses application to allow a developer to select which components they would like configured and managed on their workstations. Under the hood we are using Git and masterless SaltStack for additional automation. eHealth Africa provides software and infrastructure to fight diseases such as polio and Ebola in Sub-Saharan Africa. The third-world power grid and Internet and a globally dispersed employee base and infrastructure creates a set of unique systems management problems. This session will describe how SaltStack is used under challenging circumstances to help change lives through the deployment of the computer system that helped to stop Ebola in Nigeria. Application containers provide extreme portability of code across infrastructures which is great news for developers everywhere. But without proper container networking and management we will face a new, much more complex version of VM sprawl. This talk will provide an overview and ​demonstration ​of IBM SDN-VE network & services and SaltStack used together to manage and orchestrate Docker container deployment and networking. The demo will show the creation of load balancers and access to the SoftLayer cloud. This session will discuss how Lyft is using masterless SaltStack at scale for infrastructure bootstrapping, deployment, service discovery and server management. The will also review how Lyft organizes its SaltStack infrastructure to allow developers to manage their own operations. Learn more about the basic elements of Salt. We will review functionality and share live use cases of the core SaltStack components. See how objects like runners and returners relate to SaltStack states and modules, watch real-time usage of these objects, and learn how to leverage SaltStack to help make IT operations more efficient. We’ll dive into SaltStack internals to look at ways to gain even more performance and optimize your workload. We’ll also spend time illustrating helpful techniques for debugging and fixing errors when they do happen and how to get better insight into the performance of your SaltStack deployment. SaltStack Enterprise will soon include a new graphical user interface. This session will provide a look at the first release of the UI and share how it exposes the power of SaltStack automation to make IT operations easier and more efficient. We will also share roadmap details of the SaltStack Enteprise product line, highlighting what you can expect now and in the future. Salt SSH is better than ever in the latest version of SaltStack. In this session we will explore the differences between Salt SSH and SaltStack running on ØMQ. We will share the basic job flow of Salt SSH, and some of the performance implications of the architectural differences. We will also learn how to create custom dynamic roster modules for easy integration with other systems you use to manage your SaltStack minions. This session will​ outline​ the Limelight decision process for selecting it’s next-generation configuration management system and how we are scaling it to manage a significant number of people, products, platforms (Linux, FreeBSD, Arista EOS, etc. ), and devices on our global network. The SaltStack architecture allowed us to address challenges effectively with a feature branch workflow, to utilize Gitfs to support dozens of teams, to leverage Elasticsearch / Kibana reporting and dashboards, and to migrate to one network operations system away from CFengine and Chef. Three years ago the Linux infrastructure at Good Samaritan was chaotic at best. The only management was a pile of poorly written, occasionally useful scripts. Now, about 450 servers are managed with SaltStack. This talk will describe how SaltStack has been an effective documentation source, deployment system, and an incredibly vital element of the new Good Samaritan infrastructure. Pyobjects is an alternative renderer that allows you to author SaltStack state data in pure Python using a Pythonic API. This talk will take an in-depth look at the motivation behind creating the SaltStack Pyobjects renderer and cover how to use it, best practices and tips and tricks. At EMC, Rubicon Cloud Services operates an exabyte-scale object storage platform, running on thousands of nodes, in data centers around the world. This talk will focus on the architecture and workflows for automating the building, testing and deployment of SaltStack formulas, states and pillars across a large infrastructure. This talk will serve as an introduction to the effective use of SaltStack with systemd-nspawn as application containers and full-stack containers. We’ll highlight how SaltStack can be used to effectively deploy and control nspawn for a more scalable, portable and robust approach to microservices. In the morning keynote, Andrew talked about the origins and current state of DevOps in many organizations, both beginning and advanced. Now, let’s go beyond and explore other approaches to DevOps that can provide additional benefits to your organization. In his talk, Andrew will share tips and stories from the trenches on how to figure out which approach is the best fit for you. He will also discuss why it makes sense to adopt each of the possible approaches, and how you can sell that story internally. This session will show how SaltStack can be used to rapidly deploy a small OpenStack private cloud in about five minutes. SaltStack can connect to the OpenStack API for ongoing management of services like Nova, Keystone, Cinder, Glance, Neutron, Heat and Horizon. We will also demonstrate how SaltStack states can be used to spin up, configure and manage virtual machines on top of this OpenStack infrastructure. SaltStack ships with ~300 plugins so there are bound to be more than a few you’ve always wondered about. We’ll go beyond the common execution modules and look at lesser-known plugin systems to illustrate the full power of SaltStack by showing how to combine pluggable systems to meet virtually any need in your infrastructure. OpenX is using SaltStack to manage thousands of hosts in several data centers spanning three continents. Our ad-serving tech and real-time ad exchange comprise several dozen inter-connected services. In this talk we will share some of the design principles we used and lessons learned in deploying SaltStack around the globe. Highlights will include: leveraging gitfs and git external pillar to keep multiple data centers (and multiple Salt masters within each data center) in sync; organization of Salt states to create consistent, maintainable configurations at scale; using Salt pillar, grains and Jinja to incorporate external data sources in templated configurations across environments and locations. SaltStack is a cornerstone of our infrastructure. It follows that we should deploy this critical platform in a highly available manner. This session will profile two ways to achieve a highly available SaltStack implementation. At the end of the talk a public GitHub repository of code, developed for running HA SaltStack, will be released. This talk will demonstrate how Cisco uses SaltStack to orchestrate the deployment and onging management of Cisco Modeling Lab (CML) software. Using SaltStack-driven Packer, Salt grains and pillar data, plus Vagrant with SaltStack provisioning, Cisco builds OpenStack-based CML images and boxes for internal development and end customer use. This talk will share how intelligent SaltStack minions can be used in masterless mode to dictate software parameters of the CML stack. Booking.com uses thousands of MySQL servers to be the world leader in booking accommodations online. This talk will share how Booking.com uses SaltStack to automate MySQL management and auto recovery of MySQL slaves. We will also share how we use SaltStack to automate typical menial tasks necessary in the management of thousands of MySQL servers. There have been not a few security vulnerabilities of late, many of which have made the evening network news cycles. For SaltStack users, diagnosing and remediating any vulnerability has been an a quick and easy job. In this session learn how to use SaltStack states for fast mitigation of threats and learn techniques for preventing configuration drift that can lead to exploitable machines. For those interested, you’ll be given access to a Linode-hosted VM where you can patch a vulnerability hands-on during the session. To participate, you’ll need PuTTY on Windows, and any SSH client on other platforms. SaltStack is designed for asynchronous, event-driven task execution, and the SaltStack Reactor drives the autonomous application of SaltStack systems management jobs. This talk will discuss basic SaltStack Reactor configuration, laying a foundation for more advanced execution models. You have heard about the SaltStack Reactor system, now see how it can help deliver predictive orchestration for your infrastructure. We will share advanced use cases for extremely efficient systems management through the use of SaltStack Beacons, file system changes, user login and control, and system-event queues. REST is the language of the scalable web and SaltStack is designed to fully leverage the API. This talk will discuss using SaltStack as both the client and as a server, focusing on Salt API and the new salt.utils.http toolkit. This talk will share details on using SaltStack as a framework for implementing map-reduce style work flows and will also discuss how this same work flow pattern can be used for implementing batch flows on a cluster of minions when migrating customers to other platforms. We will also share several demos including a re-run returner which automatically reschedules any arbitrary execution module to run sequentially on a cluster of minions with minimal setup and a map-reduce bioinformatics algorithm implemented using SaltStack with no Hadoop needed. This session will provide real-world examples of the Spot Trading custom _state/ for deploying our external pillar config with Zookeeper. We will also share the wrapper application our CI build server calls to ensure SaltStack highstate is run, that it is running the _state/, and that it is ultimately placing bits on disk. This session will demonstrate the power of SaltStack and Salt Cloud for the flexible orchestration of instances on AWS and OpenStack infrastructure. Learn how to easily deploy and manage an instance in an AWS or OpenStack environment in few easy steps using Salt Cloud. This talk will share how OnCenter Software, an established software company, used SaltStack to bootstrap a new and complete cloud platform. This talk will share everything there is to know about using SaltStack as an orchestrator to help integrate many moving parts for automated deployment (cloud provider tools, APIs), monitoring (CollectD, Graphite, Riemann, jmxtrans), logging (LogStash, ElasticSearch), and displaying data (Salt Halite, Kibana, Grafana/Graphene). SaltStack configuration management is extremely flexible. This talk will help you harness the power of SaltStack by providing current recommendations on how to write SaltStack states for long-term maintainability and reusability. We will also provide guidance on state development and testing best practices. At a high level we will also discuss the state compiler and how SaltStack configuration management works with state.orchestrate and the SaltStack Reactor. SaltStack is extremely flexible and can be extended to fit almost any infrastructure requirement. In this session we will learn about SaltStack tools for writing your own custom execution modules and runner modules. You’ll learn best practices and use cases, and we will explore some illustrative examples from the Salt source code to show the power of these custom modules. SaltStack docs are due for a facelift and we are on the verge of making some substantial changes. Attend this session to get a preview of the updates including a new layout, better organization, more imagery, and more SaltStack getting-started, best-practice and tutorial content. This session will be interactive and we will solicit feedback. There’s much more to the SaltStack fileserver than just files in a directory. We’ll cover various fileserver plugins like GitFS and the S3 plugin and then we’ll illustrate how SaltStack environments can simplify your deployment process. This talk will discuss best practices for scaling SaltStack from thousands to hundreds of thousands of minions. But the devil is in the details and how do you scale without losing performance and making sure it all works? At LinkedIn we’ve learned some valuable lessons as we’ve grown our SaltStack footprint.  We’ll discuss how to run SaltStack, how to not run SaltStack, and how we’ve contributed to the Salt project to help make it better, stronger and faster. Matterport had a small, but growing infrastructure that was meeting normal growth challenges, but its QA and testing was time consuming, deployments were not always deterministic and its built software wasn’t always as expected. This session will discuss how using a standard “build, test, deploy” system is streamlining the entire system while allowing team members to better understand what goes where and enabling them to focus their attention on solving problems rather than just daily maintenance. This session will cover how private instances of WebPageTest are deployed. WebPageTest includes both Linux and Windows states, as well as a good deal of PowerShell. We will also discuss the Salt Cloud bootstrap process for Rackspace Windows. Learn how a small technology department uses SaltStack at every step to manage high volumes of traffic on multiple websites. This session will dicsuss how SaltStack is used with Vagrant for development environments, how SaltStack is used to create dynamic staging environments, and for deploying into production. You don’t need a large DevOps group. A few people can do just about everything with SaltStack. This session will share current and future SaltStack support for Windows, Mac and Unix. We’ll demonstrate how to install SaltStack on non-Linux platforms and demonstrate some available functions. The new alternative Salt transport is RAET (Reliable Asynchronous Event Transport) and is built on top of a flow-based programming framework. This session will dive into the basic setup and functional details of running SaltStack on RAET and will compare reasons for using SaltStack on RAET versus SaltStack on ØMQ. Learn how to use SaltStack on RAET for dynamic management of infrastructure with event-driven behavior for compound events and events in time. You have Salty questions, Tom has Saltier answers. This will be an open Q&A session with no agenda. Have you wanted to contribute to SaltStack, but were unsure where to start? This session will share how to setup your development environment, choose bugs to tackle, and understand best practices for submitting and getting feedback on your fixes. We’ll also talk about how to contribute brand new individual functions as well as complete modules and states. This session will flow right into the Salt Sprint so join us with development ideas and Salt code to hack on. Learn how to deploy and maintain your cloud infrastructure, while supplementing it to work with the new Rackspace Rackconnect v3 environment. The session will also touch on new addtitions to the novaclient driver for cloud that allow the use and setup of Gluster environments on Cloud Block Storage. This involves using SaltStack runners, the SaltStack reactor and Salt Cloud, as well as dedicated equipment for load balancing and to store databases and other data stores. You want portability and interoperability, right? You want choice and control over how you deploy, right? SaltStack on Azure provides you with that flexibility, but you don’t have to blindly trust in this promise, we’ll show you. In this session you will see, within just a few minutes, how to create a SaltStack master on Microsoft Azure without knowing anything about SaltStack (or Azure) at all. We’ll then show you how you can use that master to manage your infrastructure using the same configuration files used for other clouds and on-premises deployments. Since our goal is to give you choice, we will also provide a sneak peek into the future of SaltStack on Azure and invite your feedback on the evolution of these plans. More and more applications are being built or re-built with a micro-service architecture. Application containers are great working blocks to quickly and easily get a micro-service system up and running. Saltstack is then a perfect match to scale such a system. This talk will dive into how Saltstack can be used to scale a micro-service system like Docker. This session will be a practical discussion about integrating external event sources with the SaltStack Reactor and message bus to respond to events and messages of all types. We will cover topics like reacting to changes in a GitHub repo, integration with AWS SQS and CloudFormation, reacting to alerts and metric conditions, and more. This session will demonstrate how to integrate SaltStack and build servers to keep a production environment current. We will also cover how to maintain a robust testing plan to ultimately create a development environment that matches production. This talk will review how to use the new SaltStack listen / listen_in requisites and how to use watches effectively. We will also introduce non-ordered executions where necessary or useful, discuss how to use SaltStack grains and pillars effectively as well as how to reload them during the run. At it’s heart, SaltStack is a remote execution system that also does configuration management very well. Using recent additions to the 2014.7 release, this talk will demonstrate how SaltStack can be used to replace Cron for command scheduling. It will also include a brief demonstration of how to use the SaltStack scheduler. SaltStack, Puppet and Chef are three popular configuration management tools. This panel discussion will discuss the pros and cons of each specifically as it relates to enterprise scale and IT operations. Also, we will discuss when to use SaltStack alongside Puppet and Chef, or when it is best to replace one tool with another. Predictive orchestration and event-driven automation is the future of systems management. This panel of experts will share real-world examples of how event-driven infrastructure will increase efficiency and productivity in massive-scale, complex computing environments. Openstack, Github, Jenkins and of course SaltStack. DevOps tool options seem limitless but leveraging them with best practices is key to a project’s success. Whether deploying to a private, public or hybrid cloud, come learn from our panelists as they share their experiences with these tools and more. SaltStack ties together complex systems and gives admins command and control over their work, but how do you create VMs in the first place? This session will show how to set up Salt Cloud to talk to a public cloud provider, including profile set up and linking them together with a map file that describes a three-tier web application complete with separated roles. Once VMs are created, we’ll review Salt states and Salt Mine queries used to dynamically configure an Nginx reverse proxy, a Nodejs app farm, and a MongoDB cluster. Time permitting, we will also show how easily this model scales by modifying the map file and repeating the automation. This session will discuss how a failing, higher education non-profit organization was turned into a successful operation with the help of an efficient technology infrastructure managed by SaltStack. Everything from the data center to the classroom, switches, firewalls, servers and end user devices were all managed with SaltStack, And what do horses have to do with it? Google is making the power of its datacenter, network, and technology innovations available to the world through its Cloud services. This presentation will provide an overview of the Google Cloud Platform and a deeper dive on Google Compute Engine. Google recently made an open source contribution to the Salt project and you can now use Salt Cloud to manage your Compute Engine resources (IaaS virtual machine services). Find out more about Google’s Cloud Platform and how you can leverage Google scale with SaltStack. VMware and SaltStack have integrated infrastructure and application management capabilities to provide a complete automation solution. This session will provide an overview and demo of VM OS configuration, application deployment and lifecycle management made possible through a combination of VMware vRealize Automation and SaltStack Enterprise workflow orchestration. In this talk, Corey will share how configuration management at large (and SaltStack in particular) has evolved in recent years. Join this light-hearted talk about the past, present and future of configuration management at scale. He will talk at length about how SaltStack turned someone who couldn’t code his way out of a paper bag, into a “valued” contributor. This will include a brief history of configuration management and touch upon the future of the field.